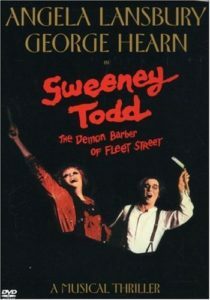 Episode 7: Sweeney Todd (stage) - A Reel Education: The Musical! 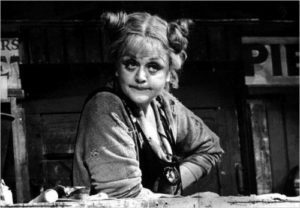 Arguably Sondheim’s masterpiece, the 1979 Broadway sensation was recorded on tour in Los Angeles in 1982 with Angela Lansbury recreating her iconic performance as Mrs. Lovett and George Hearn ably stepping into Len Cariou’s shoes as Sweeney. The show was the pinnacle of the Stephen Sondheim (lyricist/composer)-Hal Prince (director/producer) partnership that would be shattered by the failure of their next show (MERRILY WE ROLL ALONG). Dark, disturbing, and deliciously wicked, it’s Sondheim’s ode to the Victorian penny dreadfuls. Attend our tale as Windy rants about why musicals should cast trained singers, Mike gushes over Angela Lansbury, and Vinnie retroactively hates the Burton movie even more. We want you, bleeders! Bright ideas just pop into my head. 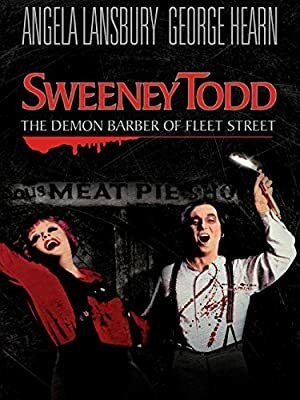 Plot: Sweeney Todd returns to London to uncover the past, along the way meeting Mrs. Lovett, and begins to start his life of crime.